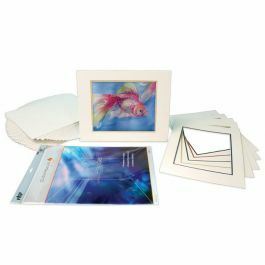 ClearBags® 12" x 16" Crescent® Mat Show Kit includes everything you need to display 8" x 12" artwork. Kit includes: • 25 Acid Free Crystal Clear Bags® • 25 Crescent® Conservation Pre-Cut Mats • 25 Backing or Foam Boards Mounting accessories and photo paper optional. Some assembly required. 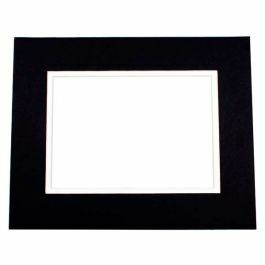 ClearBags® 12" x 16" Crescent® Mat Show Kit includes everything you need to display 8" x 12" artwork. • 25 Crystal Clear Bags® Protective Closure - Ideal for photography and art. Biaxially Oriented Polypropylene (BOPP) is a superior material that is acid free and does not rip, tear, wrinkle or fog like other plastics. The Protective Closure feature prevents the glue from coming in contact with your artwork. • 25 Crescent® Conservation Grade Pre-Cut Mats - Quality buffered– pH Neutral matting at an economical price. Choice of a single or double mat. Double mats have a 3/16" reveal. Mounting accessories and photo paper optional. Some assembly required.